Marcus Leaver, former ceo of the Quarto Group, is to be chairman of independent mental health publisher Trigger. He takes up the role on 1 December. Leaver, whose CV also includes spells as chief executive of Chrysalis Publishing and of Sterling, was at Quarto from December 2012 to May 2018. He left following the return to the company of founder Laurence Orbach, who has since stepped down again. At the time of Leaver's departure, Quarto's shares, which had been sliding, were at 110p; they are now at 70p. Leaver said: "I am very excited by the prospect of working with James Waller [md], Lauren Callaghan [a clinical psychologist, and co-founder] and the whole Trigger team. In a short space of time, Trigger has established itself as the mental health publisher in the US and UK. We shall continue to promote our crucial mission worldwide - normalising the mental health conversation, helping those with mental health difficulties through our publishing and the work of our authors - by doing and not just talking about it." 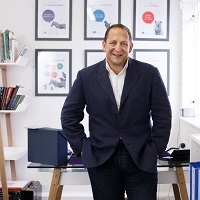 Adam Shaw, co-founder of Trigger's parent charity, the Shaw Mind Foundation, said: "In Marcus Leaver and James Waller, I believe that we have an innovative and experienced management team, with the vision and drive to ensure that all of our books achieve the worldwide audience that our authors and their stories deserve."